It’s the most wonderful time of the year! And turkey day is quickly approaching. But before you grab your bird for next Thursday, give a gander to these low-sodium tips on how to keep your meat light, dark, juicy, and low-sodium. Like chicken, Thanksgiving turkeys tend to come majorly pre-plumped with sodium and many are brined as well. Yikers. If this is new news to you, it probably just took the wind out of your Mayflower sails. But it doesn’t mean you can’t carve up a beautiful bird this Thanksgiving. And there are actually a lot of options that will keep succulent pieces of meat on the table. You just have to be educated and creative. Option One: If you are REALLY craving that turkey fix, make a special trip (or online order) to a local ranch or farm where you can directly purchase a Thanksgiving-readied (i.e. slaughtered) bird that is un-brined, un-plumped, un-hormoned, un-processed, and unbelievably good. That way, you can be sure that the only sodium you are consuming is the natural amount found in the meat. Ask your local market or butcher if you can order a turkey directly from the source. Or eat like our ancestors and feast on real heritage breeds, which have an intense flavor of their very own. For those in the area, check out the foul at Bi-Rite’s options of birds to order. 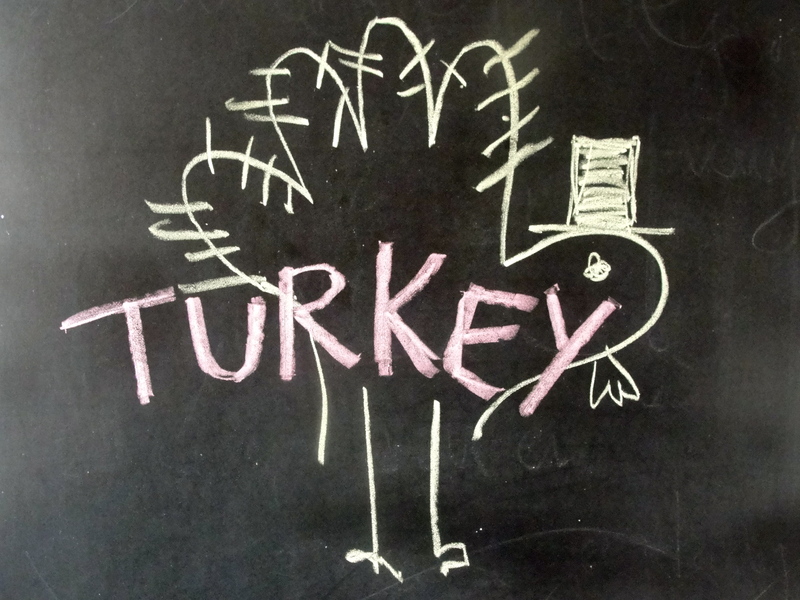 Or even order a heritage turkey from Foodzie, online. And check out CUESA’s Thanksgiving guide for more links on buying birds. Be sure to ask questions and read the labels to make sure the bird you buy is as low-sodium as they come. And if you do decide to buy your turkey from a larger retailer or grocery store, be sure to talk with the butcher or distributer, read the labels, and even use the internet to find the manufacturer’s number to get the sodium count and guarantee that no brining, plumping, or other salty pre-packaging treatments were used. The resources are out there! And be sure to look for labels that say the meat is “air-chilled,” which usually means it has not been filled with any extra salt water. Option Two: Skip the turkey all together and foul it up a different way. If you are going to someone else’s house, cook yourself a whole roasted chicken. And bring the pieces to reheat–that way you aren’t taking up oven space. Or if you are cooking your bird alongside the big guy, then save space with an adorable little guinea hen. One year, I actually made mini portions of all the Thanksgiving trimmings (tiny pots of potatoes, stuffing cupcakes, and tiny pies) with guinea hens for every guests. The little plates were a big hit. Option Three: Completely think outside of the Turkey box and make something like turkey meat sliders for a “Thanksgiving Diner“. I saw this in Martha Stewart Living and it is a totally adorable way to get around the sodium issues of a whole, brined bird. Speaking of brined…whether you choose to use turkey, chicken, or guinea hen, it is that salty, briny taste that defines the Thanksgiving bird. But because brining is basically soaking the meat in a long, salt water bath to make the meat plump and moist, this technique is a no-go for low-sodium eaters. But, as always, there are many ways to introduce moisture, juiciness, and savory flavors to your meat, without the sodium. Option One: Unsalted butter rubs. A good slather of herbed or spiced butter, under the skin and out, will keep the meat moist and help protect it from drying out. Mix unsalted butter with herbs, lemon, orange zest, spices and then use the openings on the bottom and towards the neck of the bird to loosen the skin from the meat and expertly maneuver the butter inside. A spatula or spoon is helpful if you don’t want to use your hands. Then give the bird a good rub on the outside as well and throw it in the oven as you normally would. Option Two: Get yourself a flavor injector. By filling this syringe-like tool with salt-free vegetable broth, wine, melted butter, or oil, you can directly inject moisture into the bird–much like brining. Option Three: Don’t forget the dry rubs and glazes. Whether you use a simple herbs de Provence mixture or something like curry and cumin, or you take apricot preserves straight from the jar or mix up a tamarind, vinegar, molasses spread of your own, rubs and glazes will add a lot of flavor to the bird and give the skin that stand-out crispy texture. And there you have it. Birds the word. Eatings the verb. Get your turkey on. And chow on.